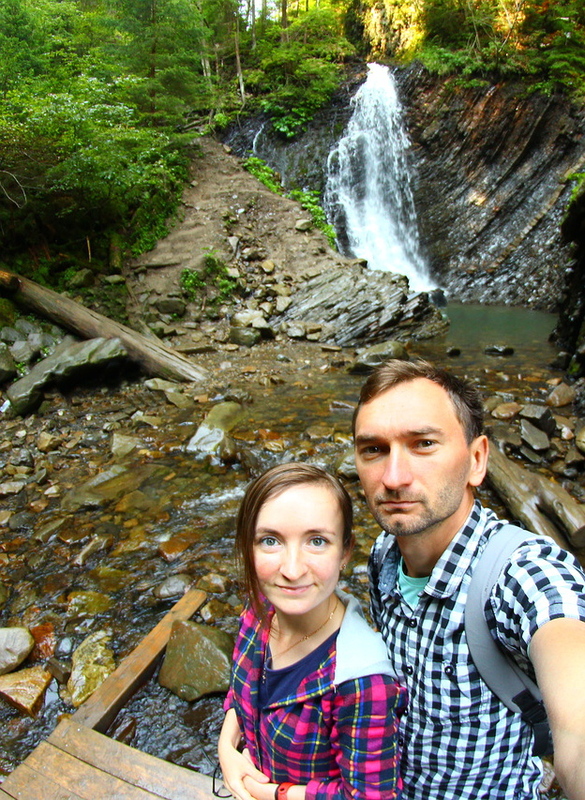 Fabulous Guk Waterfall (Zhenets waterfall) 15 metres high was formed on Zhenets River at the altitude about 900 metres on the territory of the Carpathian national park. 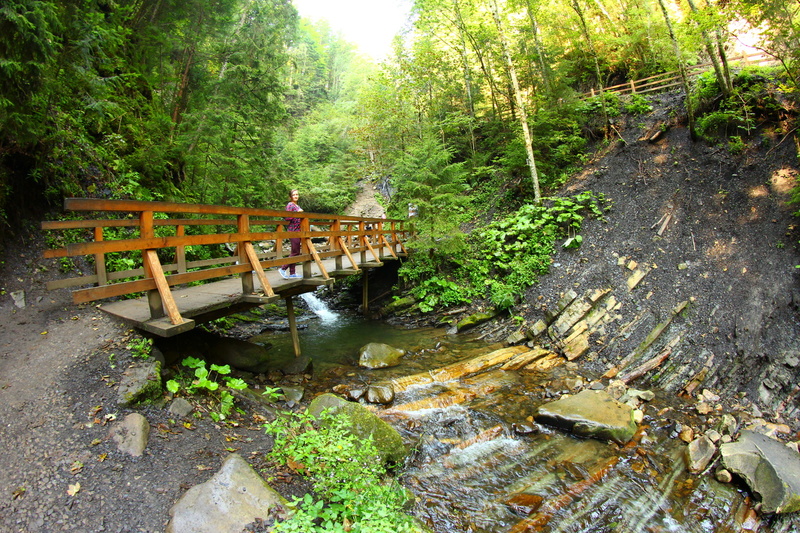 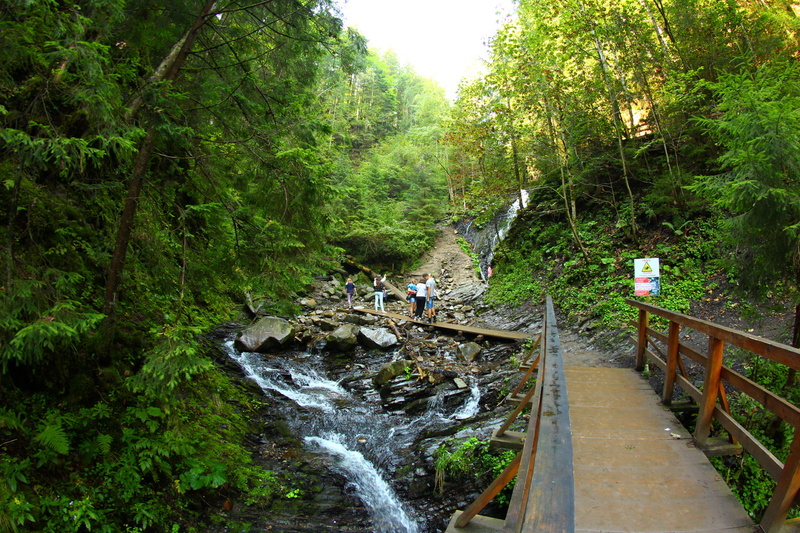 There is a little part of the asphalted road to the waterfall, further – earth road. 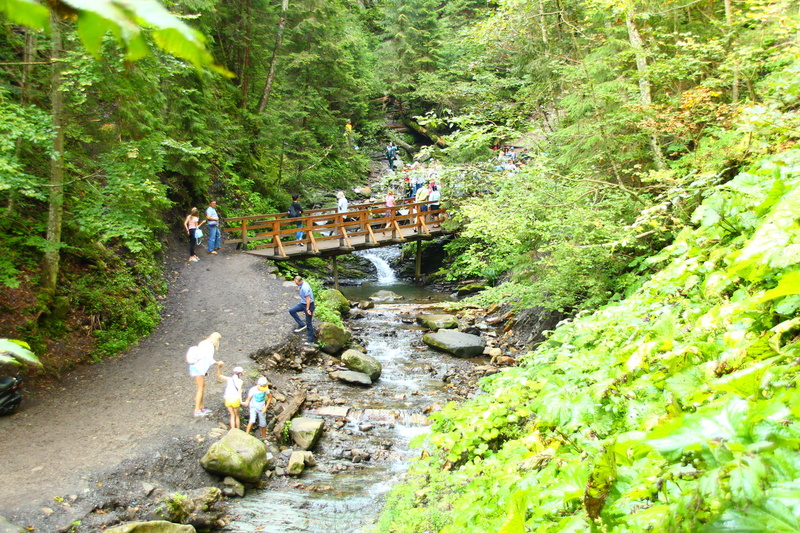 Entrance to the waterfall district is through the checkpoint, where you have to pay the tourist tax. 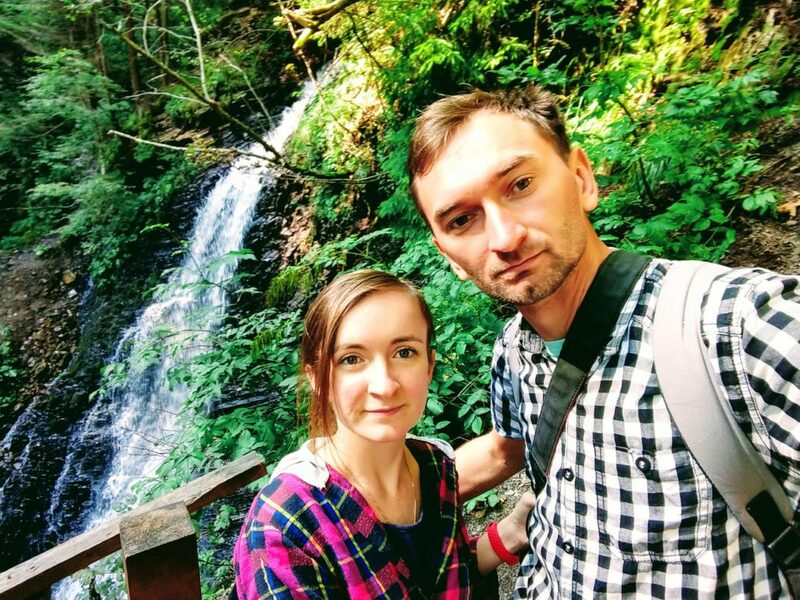 The nearest settlement is Tatariv (about 7 km from waterfall), but you can find a few hotels on the half-way to the waterfall and set off to it on foot. You can also come here by car, bicycle, or some excursion buses. We highly recommend you to be here as early as possible, as a plenty of tourists come here very quickly (with big excursion buses). 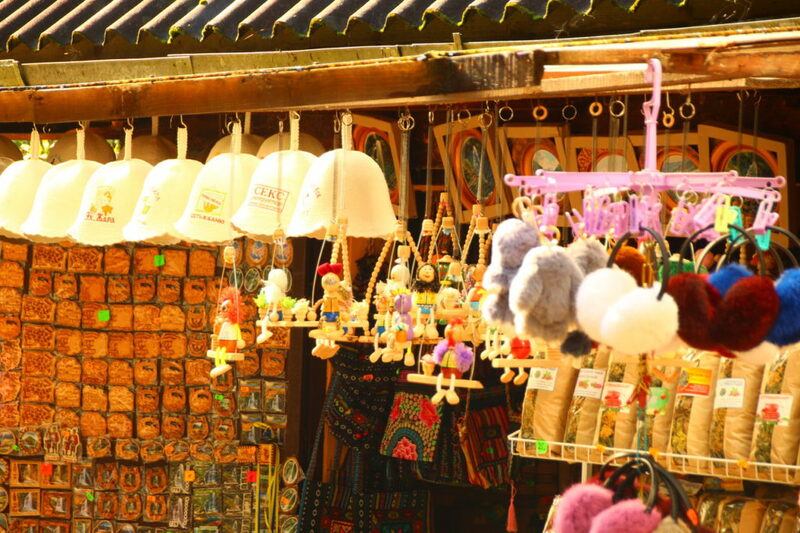 You can find a small souvenir market not far from the waterfall, where you can buy some souvenir magnets or different items for the presents. 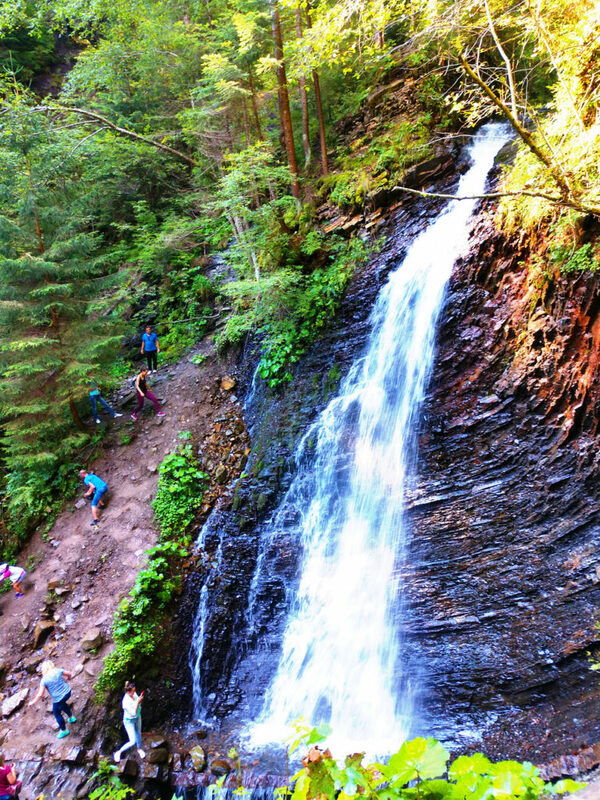 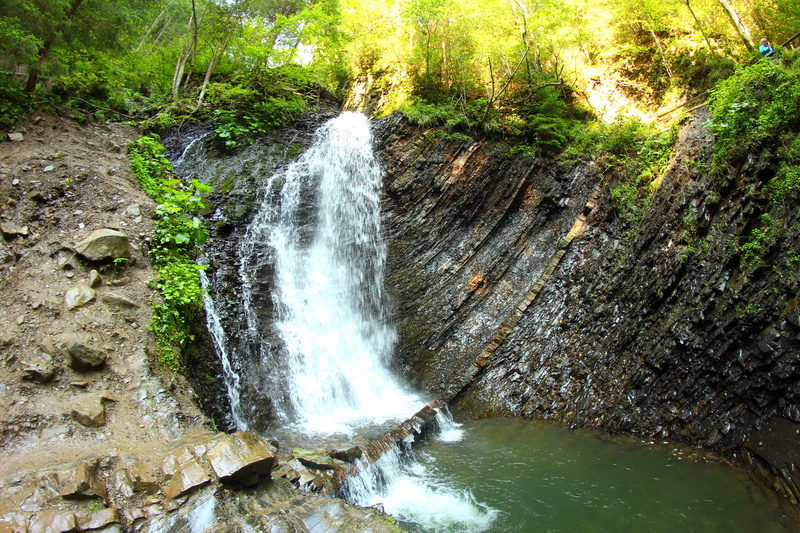 During your stay near the Guk waterfall you can climb to the Khomyak Mount by the tourist trail. 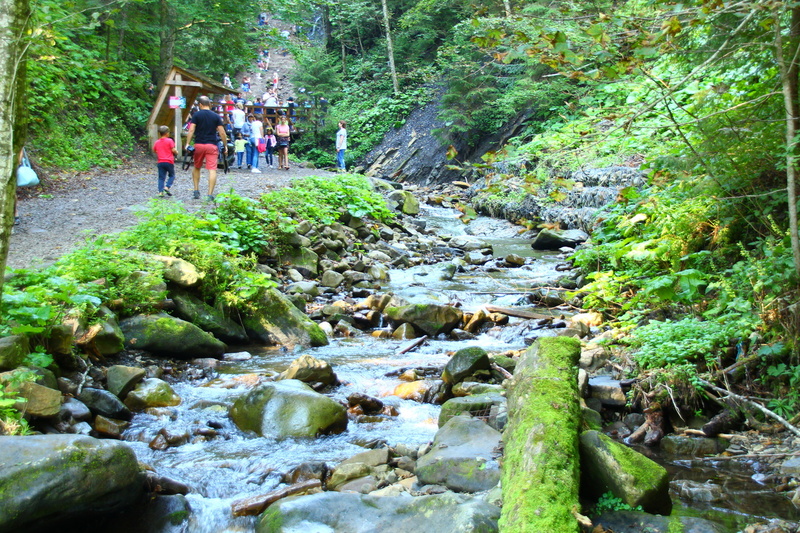 The ascent to the peak takes a few hours. 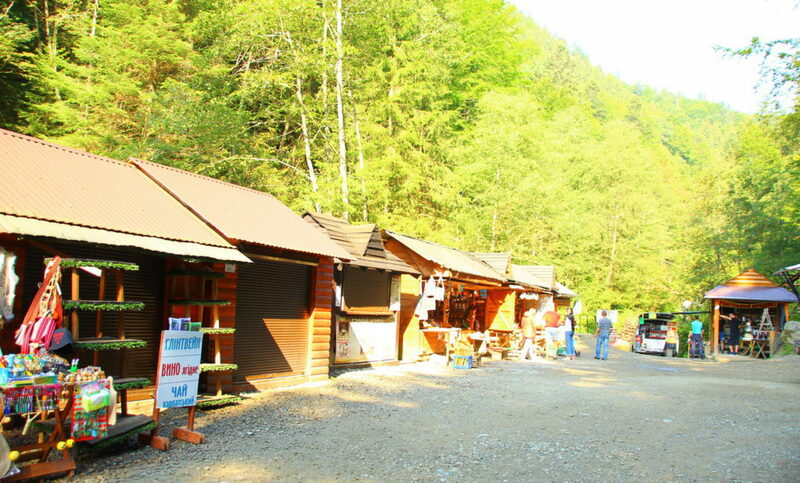 You can also come along the famous tourist complex Bukovel (20 km from the waterfall), where you can visit the water park “VODA” www.vodaclub.ua.